Emil M. Petriu, P.Eng. F'IEEE, F'CAE, F'EIC is a Professor and University Research Chair in the School of Electrical Engineering and Computer Scienceat the University of Ottawa, Ottawa, Ontario, Canada. He received his Dr. Eng. degree in Electrical Engineering from the Polytechnic Institute of Timisoara,Romania, in 1978. In 1979, he held a UNESCO postdoctoral scholarship in the Department of Applied Physics at the Technical University of Delft, The Netherlands. He is a Registered Professional Engineer in the Province of Ontario, Canada. Before immigrating to Canada in 1985, he was a faculty member in the Faculty of Electrical Engineering at the Polytechnic Institute, Timisoara, Romania, “cooperant” faculty member at the University of Oran, Algeria, and research engineer in the Department of Applied Physics at the Technical University of Delft, The Netherlands. Since 1985, Dr. Petriu has been a faculty member in the Department of Electrical and Computer Engineering and then the School of Electrical Engineeringand Computer Science at the University of Ottawa, where he received a University Research Chair in Ubiquitous Computing Technologies for e-Society in 2004. He held visiting and honorary positions including visiting researcher at the Canadian Space Agency (1992), visiting professor at the Research Institute of Electronics, Shizuoka University, Hamamatsu, Japan (1994), visiting researcher at the Communications Research Centre, Ottawa (2002), visiting professor at the Institute of Electrical Measurement and Measurement Signal Processing, Graz University of Technology, Austria (2003), visiting researcher at Larus Technologies, Ottawa (2011), and Honorary Professor of Óbuda University, Budapest, Hungary (2011). He has published 111 refereed journal papers, 18 book chapters, 279 papers in refereed conference proceedings, authored two books, edited four books, and received two patents. One of his most significant contributions was the development of an innovative absolute-position measurement technique using pseudo-random binary sequences that has the distinct advantage of requiring only one bit of code per quantization step. His pioneering work on pseudo-random encoding is cited as a basic reference in this area. He was a co-recipient of the 2003 IEEE Donald G. Fink Prize Paper Award, the unique paper award presented by IEEE in that year. Under a series of research grants and contracts from CITO, MMO, and NSERC, he developed bio-inspired random-pulse neural network hardware architectures for real-time modelling of multi-modal object properties. Working on research projects funded by the NSERC, ORF, Canadian Space Agency, MMO, CITO, NCIT, Senstar Co., and Larus Technologies he has developed new tactile sensors and haptic human-computer interfaces, computer vision and multi-sensor data fusion techniques for healthcare, security, industrial and space robotics applications. Under funding from CITO, INCO and NSERC, he has been working since 1998 on the development of a new generation of intelligent autonomous robotic sensor agents able to operate in hazardous or remote environments such as mines, nuclear and chemical plants, and underwater. Dr. Petriu is founding director of the DISCOVER Lab at the University of Ottawa. He has supervised 78 graduate students (25 PhD, 53 Master’s), 10 post-doctoral fellows and 18 research personnel. Dr. Petriu served as a member of the Administrative Committee (1996-2005), Vice-President (2000-2002) of the IEEE Instrumentation and Measurement Society, and Chair of the IEEE Joseph F. Keithley Award Committee (2007-2010). He served as an Associate Editor of the IEEE Transactions on Instrumentation and Measurement (1998-2010), and as Co-Chair of TC-28 Instrumentation and Measurement for Robotics and Automation (2002-2011) of the IEEE Instrumentation and Measurement Society. 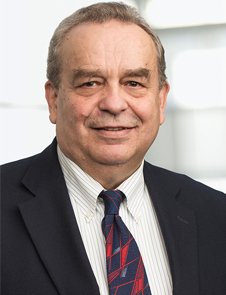 He is serving as a member of the Steering Committee of the IEEE Transactions on Computational Intelligence and AI in Games (T-CIAIG), Chair of the TC-15 Virtual Systems in Measurements, Co-Chair of the TC-30 Security and Contraband Detection of the IEEE Instrumentation and Measurement Society, and Chair of the Virtual Reality Task Force of the Intelligent Systems Applications Technical Committee of the IEEE Computational Intelligence Society. He has been actively involved in the organization of many international conferences, symposia and workshops. He was General Chair of the VECIMS 2011 -IEEE International Conference on Virtual Environments, Human-Computer Interfaces and Measurement Systems, in Ottawa, ON, Canada, VECIMS 2010, in Taranto, Italy, HAVE 2002 - IEEE International Workshop on Haptic Virtual Environments and their Applications, Ottawa, ON, Canada, IMTC/2005 - IEEE Instrumentation and Measurement Technology Conference, in Ottawa, ON, Canada, and the 11th Int. Conf. on Intelligent Autonomous Systems, IAS-11, Aug. 2010, Ottawa, ON, Canada. He served as Program Chair of the IMS 2005 - IEEE International Workshop on Measurement Systems for Homeland Security, Contraband Detection and Personal Safety, in Orlando, FL, USA, IMS 2006 in Alexandria, VA, USA, VECIMS 2007, in Ostuni, Italy, CIVE 2009 -IEEE Workshop on Computational Intelligence in Virtual Environments, in Nashville, TN, USA, and the IMTC/97 - IEEE Instrumentation and Measurement Technology Conference, in Ottawa, ON, Canada, IMTC/98 in St. Paul, MN, USA, IMTC/2002 in Anchorage, Alaska, USA, and I2MTC/2008, in Victoria, BC, Canada. In recognition of his contributions to the engineering profession, in 2000, he was elected Fellow of the Engineering Institute of Canada (FEIC), and in 2001, he was inducted as Fellow in the Canadian Academy of Engineering (FCAE). In 2001 he was elected Fellow of the Institute of Electrical and Electronics Engineers (FIEEE) "for contributions to the development of pseudorandom encoding techniques for absolute position measurement." He received the 2003 IEEE Instrumentation and Measurement Society Technical Award "for contributions to imaging processing systems, robotics, virtual reality and applications of artificial intelligence, fuzzy logic and neural networks" and the 2009 IEEE Instrumentation and Measurement Society Distinguished Service Award "for outstanding leadership during more than ten years of AdCom membership, including service as General Chair or Program Chair of five IMTC conferences, and as Co-chair of TC-15, TC-28, and TC-30."